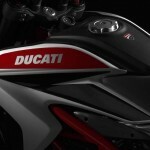 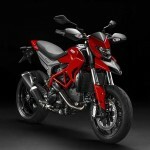 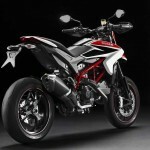 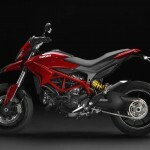 Ducati is streamlining its Hypermotard lineup for 2013, replacing its air-cooled 796 and 1100 models with a new 821cc liquid-cooled Hypermotard. 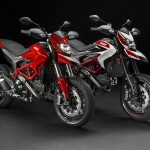 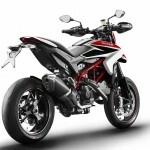 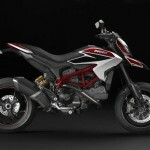 Announced at the 2012 EICMA Show in Milan, Italy, the line now includes the Hypermotard, the Hypermotard SP and the more touring-oriented Hyperstrada which you can read about in a separate post. 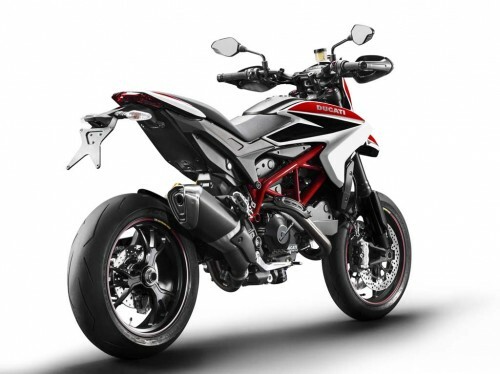 Bowing to ever tightening environmentally-friendly restrictions, the new generation of Hypermotards come equipped with a new 821cc version of Ducati’s Testastretta V-Twin engine. The Hypermotard has three ride modes: Sport, Touring and Urban. 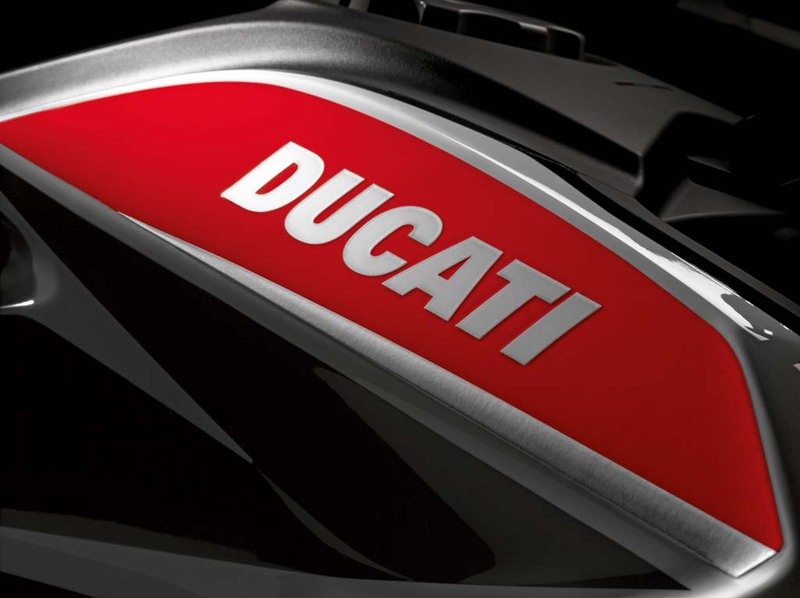 According to Ducati, the the Sport mode offers an output of 108hp at 9250rpm. 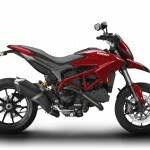 The Touring mode also claims 110hp though its power curve is better attuned for longer distance travel. 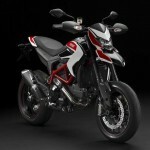 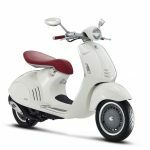 The Urban mode restricts power to 74 hp, also at 9250rpm. 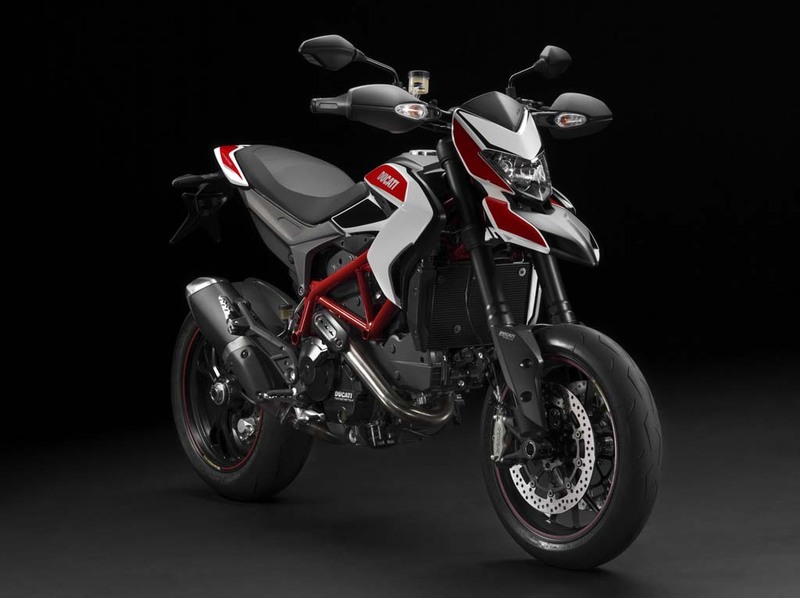 The Hypermotard also comes standard with the Ducati Safety Pack which includes ABS and traction control. 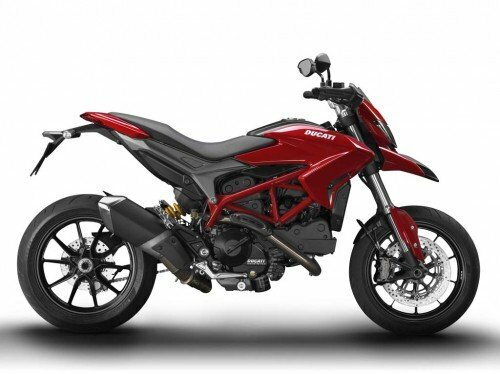 The rider triangle has been revised on the new Hypermotard, with the handlebars placed higher and further forward than on the previous generation models. 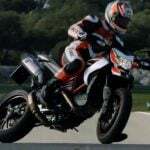 The footpegs are also moved further ahead. 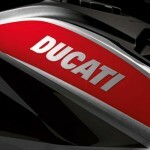 Ducati claims the new riding posture offers a commanding riding position. 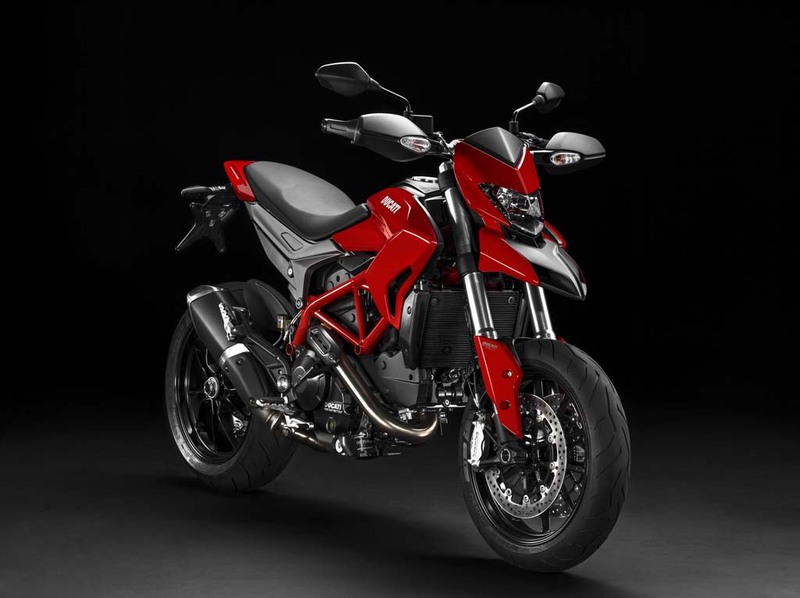 The base model Hypermotard is equipped with non-adjustable 43mm Kayaba upside-down forks with 170mm of travel and a Sachs rear shock with adjustable rebound damping and spring preload offering 150mm of travel. 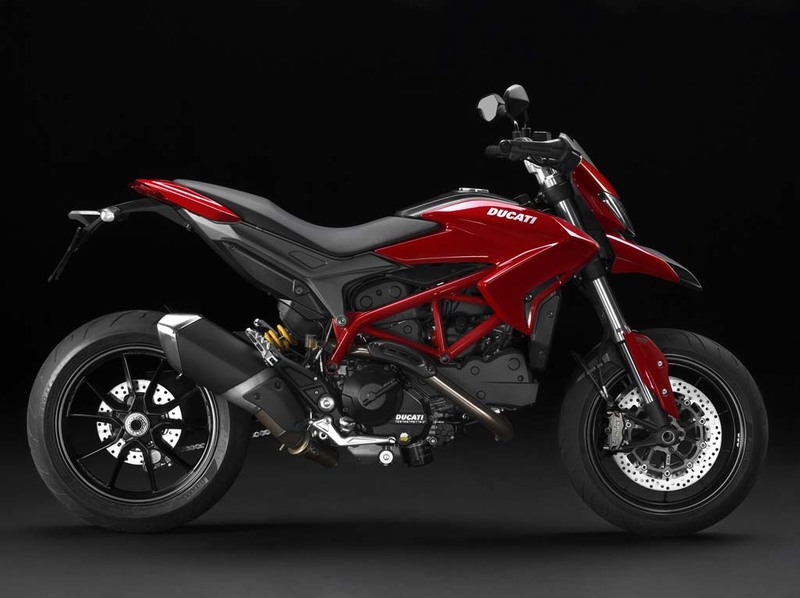 For more discerning riders, Ducati is offering an SP version of the Hypermotard. 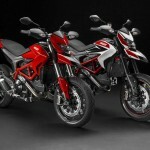 The Hypermotard SP has a different selection of riding modes from the base model. 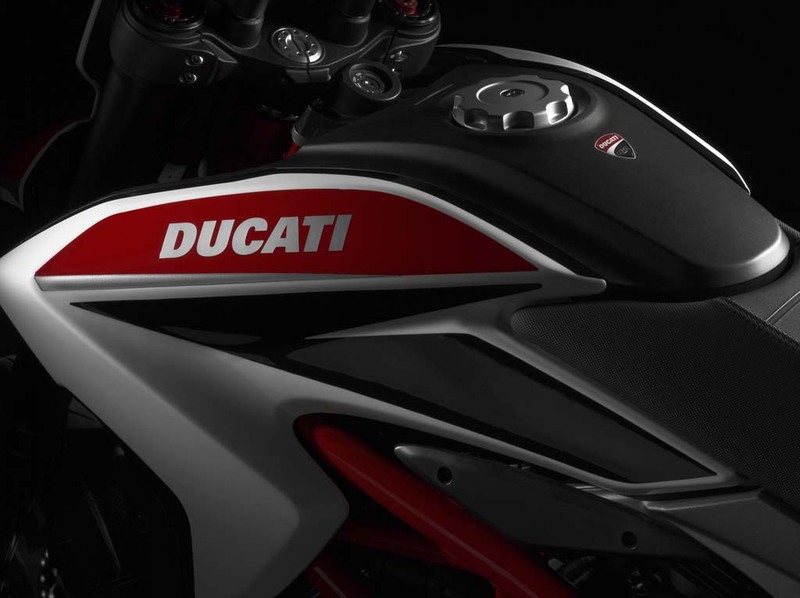 SP riders get a choice of Race mode (108 hp), Sport (108 hp) and Wet (75 hp), all derived from the 1199 Panigale’s ride modes. 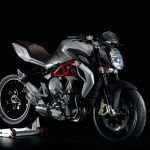 The SP’s suspension is also of a higher spec, with Marzocchi supplying fully-adjustable 50mm forks with 185mm of travel and Ohlins providing the fully-adjustable monoshock with 175mm of travel. The Hypermotard SP also lighter triple three-spoke forged Marchesini wheels similar to the Panigale S’ rims, compared to the base model’s ten-spoke alloy wheels which resemble the regular Panigale. 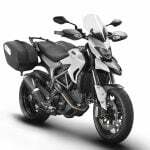 Other upgrades on the SP include aluminum tapered handlebars, carbon fiber front mudguard and cam-belt covers and radial front master cylinder with five-point adjustable brake lever. 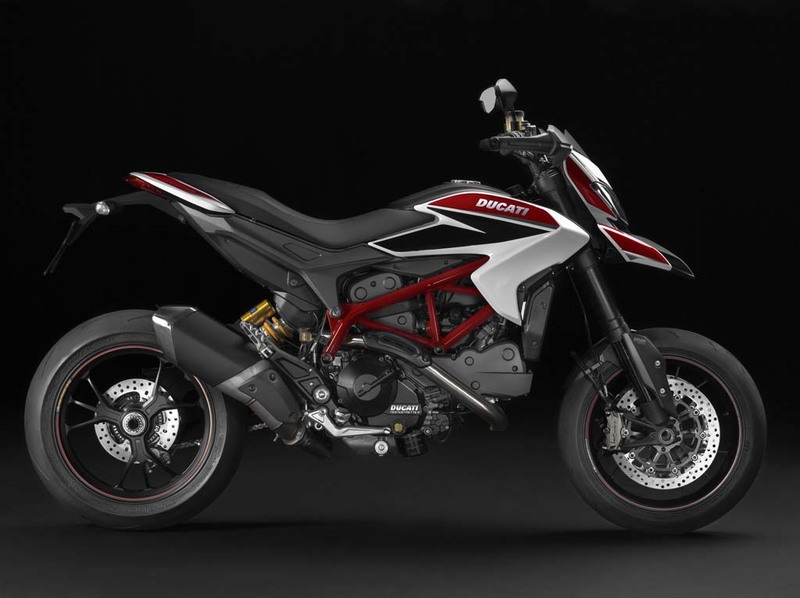 According to Ducati, the Hypermotard SP has a wet weight of 427.7 pounds compared to the base model’s wet weight of 436.5 pounds. 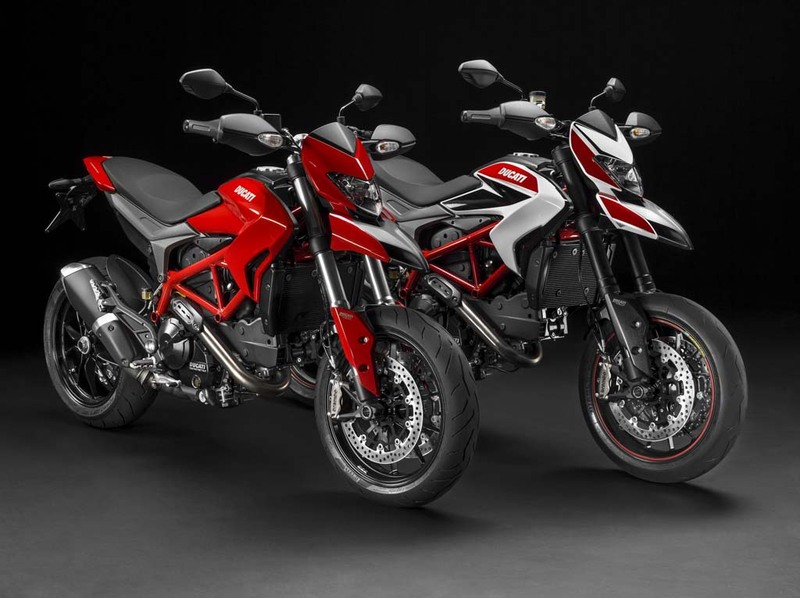 The Hypermotard SP also has a higher seat height (35 inches versus 34.2 inches) but an accessory seat will be available that reduces the height by 0.78 inches. 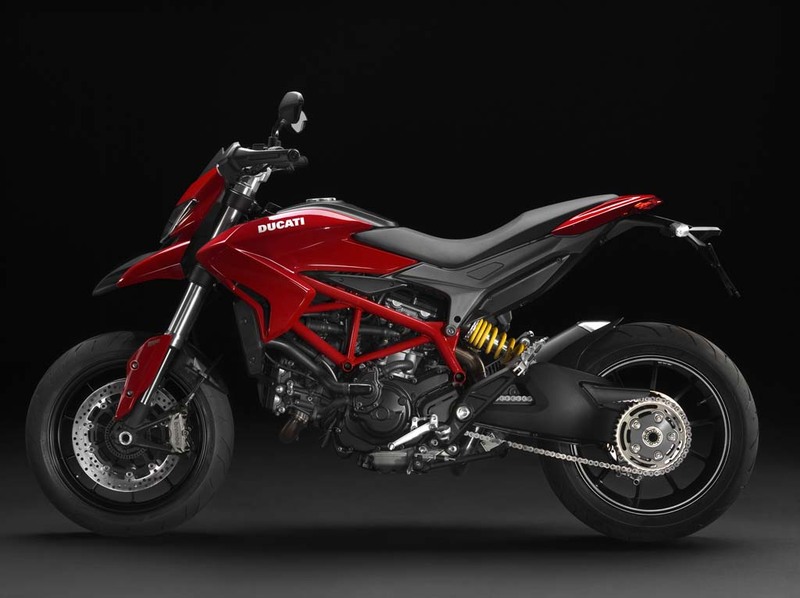 The 2013 Ducati Hypermotard is available in Ducati Red or Dark Stealth with red trellis frame for $11,995. 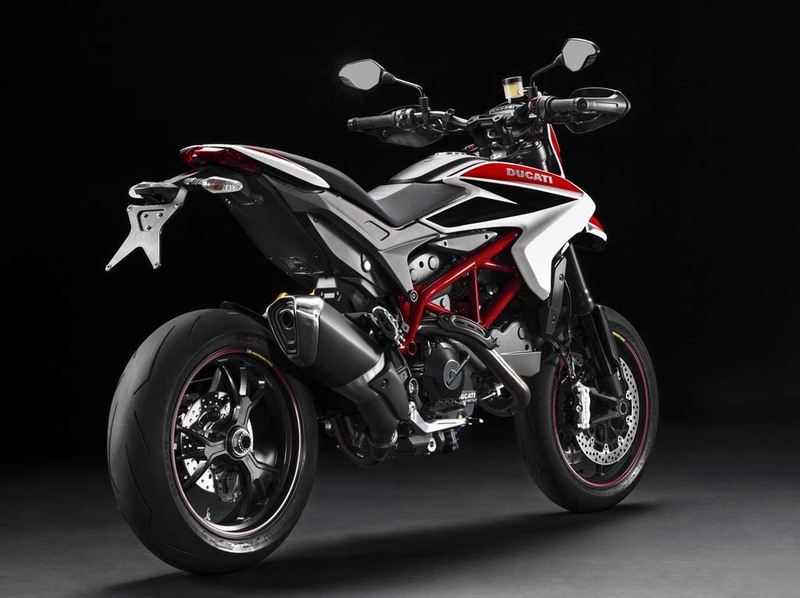 The Hypermotard SP is a pricier option at $14,695 and it will be available in Ducati Corse red, white and black with gray trim and a red trellis frame. 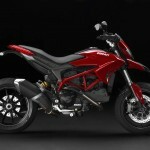 Follow Motorcycle.com for more coverage of the 2012 EICMA Show.